This one is a sheer Madeira lace top that arrived straight from the 70s in a perfect condition. It has a button closure at back. 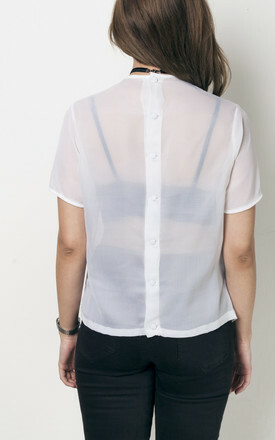 It's an absolute wardrobe staple that looks awesome with a pair of mom jeans or a nice black pencil skirt too. Grab this beauty before it's gone forever!